Our Odoo consultants will provide business consulting and analysis services with an exceptional emphasis on enhanced customer satisfaction, minimized operational cost, and efficient usage of information for competitive differentiation. They have executed numerous business analysis for employers and clients operating in diverse sectors. Eiffel’s goal is to ensure you achieve the most out of Odoo deployment. Our team can execute the requirements analysis either in person or virtually. We can have one of our team members come to your location to spend a couple of days with your staff and document pain points, gaping holes, current processes, and software systems. Planning and pre-analysis are the most essential pre-implementation phases of Odoo implementation. Note that poor planning and pre-analysis could result in the project’s failure. Software as a Service (SaaS), or an on-demand service operated by a hosting firm. If this occurs, the system is built to meet your company’s needs. ERP maintenance is also a very crucial service provided by Odoo partners as well as vendors in the ERP post-implementation stage. It consists of user training and handling of user requests. 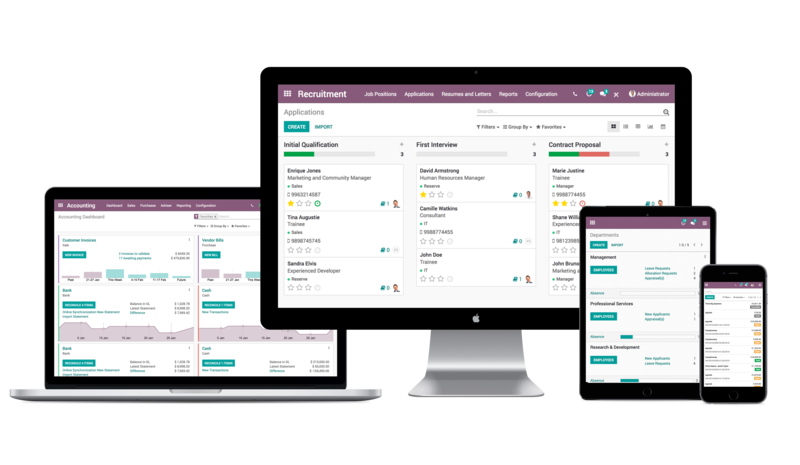 Because Odoo introduces a new version of Odoo ERP each year, it is very imperative that you be diligent about constant maintenance of the system. For instance, this allows you to address various important security updates on time. User training is essential for the success of Odoo implementation. Failure to complete user training and education will result in implementation complications. In other words, training employees and clients helps their businesses take full advantage of the services and functions offered by Odoo ERP. Technical training. The goal of this exhaustive training is to show clients how to develop their own modules by adapting and modifying the existing ones. User training. This type of training helps you to become productive as fast as possible when it comes to the use of OpenERP. Your training needs and requirements are dependent on the type of deployment you’ve chosen. For instance, say you have decided to go with SaaS deployment. Thus, technical training will not be beneficial to you. We strongly advise you to get technical training if you see yourself developing your own module. We also offer user support. User support comprises of several wide ranges of tasks. The tasks include preparing and executing user training, bug reporting to the ERP vendor, searching for ERP vendor bug fixes, serving as the first contact for change requests, analyzing errors in the application, solving user problems, consulting users regarding the utilization of the system, and answering “How to” questions. Thanks to its ease of learning, flexibility, and the mere fact it’s highly customizable, Odoo has advanced to occupy a top position among the most preferred ERP solutions. If your firm is already utilizing some of the most famous business applications and you would like us to integrate them with Odoo, you’ve indeed come to the right place. We have an in-house team that can develop, design, and test & deploy your solution. Hands on experience working with e-commerce firms, wholesalers, retailers, and manufactures in the United States. We offer hands-on experience with 3rd party integrations such as ADP, Salesforce, Taxcloud, Avalara, Magento, and Prestashop. Ultra-modern infrastructure to protect your data, code, and intellectual property. We’ll strive hard to customize and configure your Odoo suite in the best manner possible so you can quickly achieve your desired results. We are backed up by experts who boast high proficiency in the core accounting modules and functionality. Besides, our specialists work in sync with your team to assist with post-deployment support, data transfer, and training. If you’re contemplating on adopting Odoo suite for your firm, we are the ideal choice in this regard.